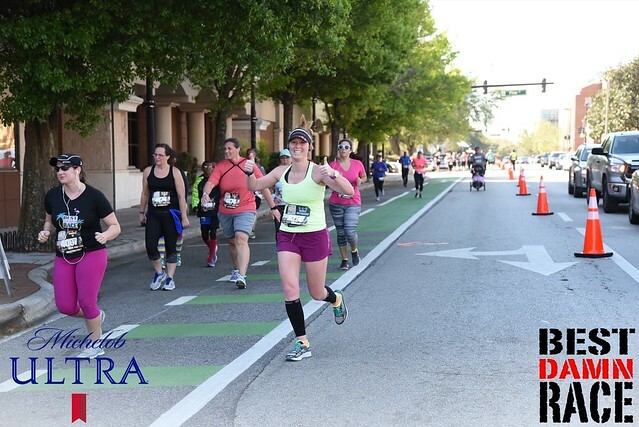 Fun places I ran: Other than our normal neighborhood routes, I ran in downtown Orlando, Jacksonville, and overlooking the port of Nassau, Bahamas from the Disney Dream! Favorite running thing this month: Free race photos! One major perk of the Best Damn Race is that they have free race photos for you to download. I’ve never purchased a race photo because they are usually about $25 per photo. Hopefully more races opt for this perk in the future! Non-running workouts: I was on point this month with my Monday morning non-running workouts at the Y. I did the elliptical every single week this month, which was one of my monthly goals. We didn’t make it to the Y as much this month on the weekends because of my race schedule and spring break, so that’ll be on the list for next month. And also, strength training. I failed miserably at that goal this month. Next month: I will be running my first Run Disney race! Great month! Way to go!